Pierre became an industrial PhD candidate at the department of Production Systems in 2014, via collaboration between Chalmers and Volvo Group Trucks Operations and defended his thesis in June 2018. He has a M.Sc. degree from 2012 in Systems, Control and Mechatronics with a major in control theory from Chalmers. 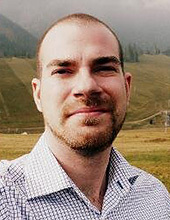 His research focuses on globalization and standardization in global production networks. The goal with his research is to enable global production networks capable of adapt production to internal and external factors in a flexible major to keep manufacturing processes robust. There might be more projects where Pierre Johansson participates, but you have to be logged in as a Chalmers employee to see them.